At At Country Country Chevrolet, Chevrolet, strong enduring relationships At At Country Country Chevrolet, strong enduringChevrolet, relationships create more than business. strong relationships strong enduring relationships create more enduring than a a successful successful business. more a business. They create successful create morea than a successful successfulcommunity! business. Theycreate create athan successful community! They create a community! We proud to your and They create a successful successful community! We are are proud to employ employ your friends, friends, family, family, and neighbors. neighbors. We are proud to employ your friends, family, and We are proud to employ your friends, family, and neighbors. neighbors. towards your trade-in vehicle. Bring in this coupon for anAllowance. additional $500 Additional Trade Additional Trade Allowance. Offer valid through May 31, 2018. towards your trade-in vehicle. Bring in this coupon for anadditional additional $500 Bring in this coupon for an $500 #LIFESTYLES Offer valid your through June 30, 2018. towards vehicle. towards your trade-in trade-in vehicle. Offer valid through June May 31,30, 2018. Offer valid through 2018. The summer season is about to begin, bringing in a beautiful change for so many of us. 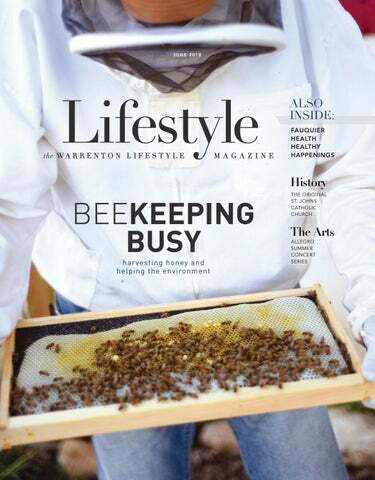 This month Warrenton Lifestyle Magazine is sharing stories about good deeds, how to handle the stock market volatility, history of a local church, and so much more. At this time I wish to thank all of you, the readers. My role as senior editor and writer here at the Lifestyle Magazines has fulfilled me in countless ways. I have learned about so many amazing people, businesses and good deeds within our community, and it has been awe inspiring. I have found immense joy in sharing these stories with you. I have found my own season of change, and want you to know this will be my last issue as editor for the magazine. I will embark on a new opportunity for a wonderful nonprofit organization where I hope to continue my own personal “giving back” to the community. Although this is a bitter-sweet moment for me, I am pleased to share I will still periodically write for the magazine and hope my writings will continue to educate and inspire readers about all the amazing people, places, and things here in Fauquier County. Thank you for your readership, your kind words over the years, and for the positive feedback about our publications. I feel honored and blessed to have met so many of you during my time here, and thank you for sharing your stories with me so I in turn could share them with others. “She was the chosen instrument of planting the seed of faith in this region, and the Church is a fit monument to her pious exertions.” ~ EXCERPT FROM THE OLD LEDGER WRITINGS MARKING THE SUBSCRIPTIONS OF DONATIONS. ABOUT THE AUTHOR: Ann Casey, owner of Scribe’s Corner, is a published author and historical researcher, presently at work on her book Thieves, Rogues and Vagabonds, America’s First Slaves. Piedmont Lifestyle It’s all there. All the stories you love, from all 3 of our publications... PLUS MORE! 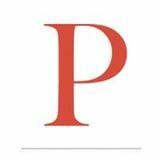 Piedmont Lifestyle Read, interact, and share with us! ABOUT THE AUTHOR Jared Nieters is coowner of Haymarket Bicycles and founder of Mapleworks Endurance Coaching. He has won multiple national championships in cycling and now coaches endurance athletes in a multitude of disciplines. He can be reached at info@mapleworks coaching.com and found on most social media sites at @ mapleworkscoach. aintaining your fitness is hard work and requires persistence, dedication, and motivation. Often the desire to get out and exercise comes easily, and endurance sports are popular because they are fun. But fatigue may creep in. The stressors of “real life” may pile on; the weather won’t cooperate, and motivation can wane. This may result in a training slump that can be hard to shake. A few hacks can help you to get back on track. HAVE A PLAN Create a training schedule to eliminate the stress of deciding what you're going to do for a workout each day. A little effort ahead of time can keep you from getting derailed. Treat your work out simply as an item on your checklist to be completed. If you don’t want to create your own training schedule or don’t feel equipped to determine the best workout, there are plenty of easy plan options online. For more more detail or personalization, private endurance coaches can help keep you on track. Involve other people in your training as it provides external motivation. Train with a buddy; it increases the fun and puts on a little pressure for you to follow through. Group training may be a lot more rewarding as well. Whether you are in a fitness class, attend a regular group run organized by a local club, or a weekly group bike ride, the training hours go by quickly; sometimes you even feel like you didn't suffer at all. Another way to increase accountability is to enlist the service of an endurance coach who will create a plan and evaluate your performance. AVOID ANTICIPATION Don’t overthink your training program. Keep your preparation time simple and just get out the door. Everyone has a constant dialogue in their head and it's easy for that dialogue to turn negative. The key is to tune it out. Zone out with music or recite a mantra. When Nike popularized the phrase “Just Do It,” they keyed in on a valuable motivational tool: less thought, more action. When Summer Sizzles... YOU CAN CHILL OUT WHEN APPLETON CAMPBELL SERVICES YOUâ&#x20AC;&#x2122;RE A/C! This spacious Colonial has been loved and well cared for by the same meticulous homeowner since 1990. Impeccable attention to details shows throughout this lovely home. Nestled in a park like setting, w/ updates to bathrooms, kitchen and gorgeous hard wood flooring in 2015. Huge bonus room on main level with double closets could be used as a main level bedroom or for a variety of other uses! ver 30 years ago, I started working with families and professional caregivers of people dealing with Alzheimer’s disease and dementia, as the executive director of an Alzheimer’s Association chapter. Over the years, I’ve talked with thousands of people personally dealing with dementia. In 2010, my mother-in-law was diagnosed with Alzheimer’s disease and I then tried to incorporate what I had learned throughout all these years into my own caregiving strategies. Here is some advice I gleaned and offer now to help others dealing with dementia in their personal lives. “lie”. What we perceive as an untruth is usually what they believe to be true. GIVE ONE “COMMAND” AT A TIME. 1. DON’T argue, agree. 2. DON’T reason, divert. 3. DON’T shame, distract. 4. DON’T lecture, reassure. 5. DON’T command; ask or model. 6. DON’T condescend, encourage or praise. 7. DON’T force, reinforce. 8. DON’T say “remember?”, instead, reminisce. 9. DON’T say, “I told you”, instead, repeat. 10. DON’T say, “You can’t”, instead, say, “Do what you can”. Excerpt from the book Alzheimer’s Disease: Help and Hope by Jo McDonnell Huey, copyright 2001, second edition, 2008; published by Alzheimer’s Institute, page 113.
mother accuses you angrily of stealing her purse, it’s useless to argue – it’s unlikely you’ll win. A good response might be, “I think I saw your purse in the kitchen, let’s go look for it.” You can also use a technique called redirection. Change the subject or the location; this takes advantage of your loved one’s short-term memory loss, and he or she may forget the accusation. ESTABLISH A ROUTINE. IF YOU LOSE YOUR PATIENCE, GIVE YOURSELF A BREAK. Tomorrow is another day. Try to do better next time, but push guilt to the back burner – you’re doing the best you can and you can’t expect perfection. Give yourself a pat on the back for taking on this difficult journey, because not everyone would. CHOOSE YOUR BATTLES. Were you in a hurry to go on vacation? Let the Law Office of Marie Washington resolve your traffic citations. Be the Reason Someone Smiles Today This SUMMER help make a difference in your local community by donating time, money or equipment. For more information on the Summer on the Green Concert Series presented by Allegro, visit the Facebook page (facebook.com/Allegrocsa). If you or your business is interested in sponsoring a concert, please contact Lachelle Yoder at lachelle@allegrocsa.org. developed a great appreciation for style, beauty and craftsmanship in furniture. She said, “The problem was I had a home full of things and needed very little. I started to buy, sell, and swap my things out for older, more beautiful items.” This process led to the creation of Baileywyck. valid with any other offer. Exp. 6/30/18 Not valid with any other offer. Exp. 6/30/18 Coupon must be presented with incoming order. NotCoupon must be presented with incoming order. Vella originally opened Baileywyck in Middleburg in 2006, but in December moved to The Plains. After months of renovations to the 4,600 square foot space, her shop is once again open for patrons to peruse an array of artwork, architectural elements, home decor items, equestrian items, garden elements, lighting, textiles, vintage-style toys, and more. Her favorite pieces include her vast collection of carousel horses. “I carry items from all corners of the world. Some pieces are from Goa, Paris, Spain, and Italy. And other pieces hale from England, Scotland, Wales and the U.S.,” she said. Her career has provided her a way to enjoy flexibility. “I always say there are no emergencies in antiques so this is an ideal business for me as I am a bi-coastal parent and a brand new grandma. I have the ability to see my kids when I want and travel overseas for work while I earn an income,” she shared. Due to her presence on Ebay and locally she has developed a large client base which helped in her make the decision to relocate from Middleburg. “The Plains is a dream come true. The community has been incredibly welcoming and helpful,” Vella shared. Surrounded by other shops and restaurants, Vella shared her store provides the needed space, but also draws even more customers. Vella divulged her favorite part of owning the business is the people she meets. “They are fun, interesting, sophisticated, well-travelled and likeminded,” she said. Customers share family stories, travel tips, and restaurant experiences with her. “In a small way I am a part of their lives,” she said. Vella shared she enjoys when people stop in and wander around the store to visit with her and her two golden retrievers, Emma and Don. She also hopes to provide local artists a place to display and sell work in the near future. “We are preparing the space now and my commision will be donated to the The Plains Community League,” she shared. “I am looking forward to being a part of The Plains in every way.” ❖ Baileywyck Antiques is located at 474 Loudoun Avenue in The Plains. For more information visit www.baileywyckantiques.com or visit social pages on Instagram and Facebook. Rodeo & Bike Safety Community Event from 1:00 p.m until 3:00 p.m. at PB Smith Elementary School Snacks, drinks and ice cream will be provided. One lucky kiddo will win a brand new bike!! Open to ages 2 to 12. Please be sure to register on our website so that we know the number of children participating. Bike inspections available. For more information, visit our Facebook page. Fair from 1:00 p.m. to 4:00 p.m. at Club Eclipse, Gainesville Families4Fauquier is proud to be one of the amazing sponsors of the Young Entrepreneur Business Fair which is a grassroots community event. The business fair is open to children between the ages of 6 and 16 who want to showcase a business idea. Business mentors will help provide support and guidance to the youth entrepreneurs who will be working hard over the next month to learn how to build their business plans, create their products or services, price their offerings, develop their display booths, and present their business ideas. Please follow The Young Entrepreneur Business Fair page on Facebook, and send any inquiries to YoungBusinessFair@gmail.com. If you wish to volunteer, become a business mentor, sponsor, or donate a raffle prize, we would love to hear from you. We will accept raffle prizes until June 20. WEDNESDAY, JULY 4 4th of July Children’s & Pet Parade begins at 10:00 a.m. just meet at Great Harvest on Main Street, Warrenton Families4Fauquier is proud to be one of the parade sponsors again this year. The parade line up begins at 9:30 a.m. with the parade starting at 10:00 a.m.. Bikes, trikes, and wagons welcomed but please do not bring motorized vehicles. Enjoy the parade, led by Uncle Sam which will end with the Fauquier Community Band will be performing patriotic music. We will be providing freeze pops, balloons, flags, dog treats, and other patriotic giveaways for all to enjoy. Event from 3:00 p.m. until dusk at the WARF Families4Fauquier will host a vendor booth for families during the annual Warrenton Town Limits event. We will provide crafts, Legos, rock painting, lemonade, and a photo booth station – fun for the whole family. Fishing Check List FISHING LICENSE. Purchase online or in one of our local stores prior to your Father’s Day excursion. For more information on state requirements you may visit Virginia Fish & Wildlife’s websitedgif. virginia.gov/fishing. PERMISSION. If you are seeking a fishing hole on privately owned property, be sure you have the expressed (and sometimes written) permission from the landowner in case someone stops you along the way. FISHING GEAR. Don’t forget your pole, tackle box, and/or bait. A pair of needlenose pliers also comes in handy for extracting stubborn hooks. A local bait shop like Rankins is a great place to go to for equipment advice. Don’t forget other basics like food, drinks, chairs and sun protection. This is not an all encompassing list, it is only a few local places. There are plenty more, so visit www.hookandbullet. com/c/fishingwarrenton-va for detailed information on the location, type of fishing and type of land (public or private) you are seeking. • Airlie Dam • Cattail Branch • Fox Pond • Johnsons Dam • Jordan Branch • Lower Warrenton Lakes Dam • Mill Run • Silbersiepe Pond • Springhill Farm Pond • Warrenton Lake • Warrenton Reservoir (only open one day a year for the public to enjoy - sorry folks) For those of you interested in driving a little distance, check out the diverse locations for trout fishing. Details on the locations are available on Virignia’s website www.dgif.virginia.gov/ fishing/trout/. This site will also provide you information on the fishing season, limits, and it provides users with an interactive map to view. Share your catch! Feel free to share your “fishing tale” photos with us on our Facebook page or email them to editor@piedmontpub.com. THANK YOU FOR VOTING US BEST VETERINARY CLINIC 14 YEARS IN A ROW! Elaine E. Lutz, D.V.M. Christopher Grams, D.V.M. Phillip Washington, D.V.M. at an outstanding value. Tackle your toughest jobs, on or o the mower, with the all-new toolENHANCED COMFORT mounting capabilit y, bringing unmatched utilit y Fromproductivity the standard suspension seat, isolated and right to your fingertips. floor pan design, easy access from the front or side of the machine, to the deck step guide and easy to use controls, Toro has ENHANCED COMFORT the operator in mind. From the standard suspension seat, isolated floor pan design, easy access from the front ® TURBO FORCE CUTTING DECKS or side of the machine, to the deck step Landscape professionals worldwide guide and easy to use controls, Tororely hason Toro’s patented TURBO FORCE® decks for the operator in mind. outstanding quality of cut and durability. Nothing cuts as well as TURBO FORCE. From the durable 7/10-gauge high strength steel TURBO FORCE® cutting deck, to the rugged 2” x 3” tubular frame and commerc ialgrade hydraulics, the TITAN HD zero turn mowers are built to last. not be seen as a mere advantage, but rather as a necessity for your child. Literacy promotion, AAP policy declares, is “an essential component of pediatric care.” The Fauquier County Public Library agrees. Raising a reader can be a source of fun for parents and children alike. Between simple at-home practices and the resources available at FCPL, you and your child will find plenty of support at any stage in their development. See our guide below for reading at all ages so you may embark on childhood literacy. Babyhood is the time for parents to craft a literaturepositive atmosphere at home. Make reading a regular and instinctive activity to model the behaviors you want to see in your child. Read aloud and read anything: baby books, novels, emails, recipes, shopping lists. The exposure to language is what’s important. Remember to speak directly to your child. This is the prime age of board books and fabric readers, so let your baby handle the books for a further sensory response and engage them in the act of reading itself. Our Services Include: LLC U Healthy PetOur Care Services Include: Pediatric •UAdult • Geriatric Healthy Pet Care U Vaccination Protocols: Pediatric • Adult • Geriatric Vaccination Protocols: prescribedUindividually based on prescribed individually lifestyle, exposure potential and age.based on PERSONAL CARE ASSISTANCE FOR U SENIORS lifestyle, exposure potential and age. In-house Laboratory U In-house Laboratory U Digital Radiography U Digital Radiography LLC Our Services Include: U Surgical Procedures U Surgical Procedures U Healthy Pet Care U Digital Dental Radiography U Digital Dental Pediatric • AdultRadiography • Geriatric Vaccination Protocols: The One Source You Can Trust!and dentalUcleaning and dental scaling & polishing prescribed individually based on U Blood Pressure Monitoring U Blood Pressure lifestyle, exposure Monitoring potential and age. & TICK SEASON, PETS NEED TO BE PROTECTED! Q uQeusetsi ot inos? n s? C oCnotnatcatcut s! u s! they see and hear. Children will start to develop their own tastes in books, so foster their interests while promoting a diversity of subjects and authors. Talk to a children’s librarian or attend a story time for more ideas is to talk to a children’s librarian or attend a story time at your library. Or, if your schedule conflicts, take a “Story Time to Go” pack home with you. Each of these packs provides a specific theme, an activity sheet and an assortment of books. Look on the label for Toddler and Preschool selections. Also a “Box of Books,” a unique library resource, contains a collection of 50 picture books and is perfect for travelling. Both “Story Time to Go” and “Box of Books” are available at all three library locations. The first books children read on their own will have large print, easy vocabulary and simple plots. These “Easy Readers” are identified by a numbered reading level on their cover. These books should be made available when your child expresses an interest in independent reading, but remember there is no correct age for this to happen. Meanwhile, continue to read aloud and not only at bedtime. Continue with picture books, but also introduce longer stories, even simple chapter books. At this point, a child’s comprehension far outpaces their own reading ability. Even when your child begins reading independently, retain some time together. Hearing stories read aloud is beneficial even for older children. Stimulate discussions about the books they are reading and be sure to keep reading yourself; kids will want to imitate your behavior. When your child is no longer engaged by Easy Readers, introduce chapter books. Look for books with pictures or identify a series. Graphic novels and nonfiction provide alternatives for reluctant readers and despite their visual-heavy formats, should be considered on equal literary standing with regular fiction. Consult a librarian for recommended titles, or view the library’s book lists, which are categorized by age and interest. Complimentary grade-school programs are available and include PAWS to Read, where kids read aloud to certified therapy dogs, and STEAM, an after-school club promoting Science, Technology, Engineering, Art and Math. The best of these genres are imaginative, diverse and relatable to typical adolescent experiences. Reoccurring themes include growing up and forming one’s identity, and the craftsmanship at work in these stories make them favorites among adults as well. Especially in Young Adult (YA), expect the books to handle difficult subjects, but know the finest of them will address these topics with nuance. Ask a youth services librarian for age-appropriate recommendations and consider picking one up for yourself. 1,000 Books Before Kindergarten Eager to help raise readers, FCPL offers “1,000 Books before Kindergarten.” Under this new year-round program, parent and child track books read on a special log. Reading milestones are celebrated at the library with stickers and other small prizes. In as little as 15 minutes a day, parents can prepare their youngsters for their first day of school. The program is open to all children who have not yet entered kindergarten, and participants can begin as early as their first day home from the hospital. Reading should be fun, not a chore, so focus on the stories themselves rather than the number of titles. When a child is raised to love reading, the books will pile up on their own. Karen Longe MPT is the founder of KEL Physical Therapy in Warrenton VA. She enjoys helping people get back to activities that they love to do NATURALLY using her manual therapy skills, dry needling, powerful education and instruction in corrective exercises. She is passionate about educating and provides monthly workshops open to all. For more information on her services contact her via phone at 540422-0020, email ptwithkel@gmail.com, or visit KEL-PT.com. ow that it is spring and summer is around the corner, we think about gardening, riding, playing tennis, and getting more active. But, sometimes a body is not quite ready for this type of activity; pain may limit you from participation. The sooner your pain is addressed, the faster you may be able to diminish or relieve your pain entirely. Shoulder, back, neck, and foot pain are common complaints and limit individuals when doing “simple” things. A shoulder may hurt as you reach to put something away on a shelf, put on or tuck in a shirt, or reach into the back seat of the car. Some people experience back pain when they sit or stand. Others may experience pain in the neck while at work looking at a computer, or if the head is turned while backing up a car. Still some individuals experience foot pain in the morning when they first wake up, traversing down the stairs, or when they walk or jog. completed to determine the specific cause of your pain. Once a therapist is assured your situation is a musculoskeletal problem, they will be able to develop a plan to reduce or rid you of the pain by implementing a treatment plan. Treatment may include joint and soft tissue mobilization, instruction in corrective exercises, and education in proper body mechanics; other options may include dry needling, taping, or other modalities specific to your unique needs. Kitchens • Bathrooms • Basements • Decks • Carpentry Flooring • Electrical Service • Tile • Cabinets Our mission is to provide you with the lowest competitive pricing, quality products and exceptional service. 6649 Garland Drive, Unit #11, Warrenton, Virginia 20187 A Family who kicks together www.blackwoodkitchenandbath.com stays together! and they are supervised by Seth McMurray and Margaret Rice. Parks and Rec, once managed by the County, is now responsible for maintaining these local places of enjoyment. The Greenway, however is managed by Fauquier County personnel in accordance with the Master Trails Plan. And, the fields at the WARF fall under the purview of the Warrenton Fields Association, who lease the fields from the Town and manages the scheduling of the activities associated with the land. This arrangement allows Jeffery and Mason to focus on all the parks in the Town. both both long-term long-term and and short-term. short-term. Let us usyou show show you you how. how. both both long-term long-term and and short-term. short-term. Let Let us usLet show show you how. how. ®® ®® CONTACT CONTACT AN AN AGENT AGENT TODAY. TODAY. GET GET TO TO AA BETTER BETTER STATE. STATE. CONTACT CONTACT AN AN AGENT AGENT TODAY. TODAY. GET GET TO TO AA BETTER BETTER STATE. STATE. Jeffrey Bruck, left and Mason Ferraiuolo, right. PARKS & REC NEEDS Seasonal lifeguards, and year round front desk staff are needed. Seasonal lifeguards need to be at least 16 years old and have successful completion of a lifeguard certification class. However, lifeguards are needed year round and work options include two shifts per week (off season) at the WARF. Below: During a recent emergency preparedness drill in the Emergency Department, a lab technician calms a young “patient” who was nervous about having his blood taken for testing. REVAMPED WEBSITE Fauquier Health’s website, at www.fauquierhealth.org has a new look. Click around and let us know what you think. Any questions or comments can be sent to Robin Earl at earlr@fauquierhealth.org. Is Your Water Safe? A UV water treatment is an established method to treat and disinfect the water running into your home. It’s a chemical free, environmentally friendly method to treat your water and keep your family safe. J.R. SNIDER, LTD. 540-687-5232 • 703-771-3308 With this coupon. Not valid with other offers or prior services. Offer expires 6-30-18. Let’s Work Together WE SPECIALIZE IN CUSTOM WORK. All your home improvement needs, plumbing, electrical, roofing, additions, renovations, design team. My approach is an organic and thoughtful one and I enjoy seeing clients understand and appreciate the special moments I capture with the camera. Come get your physical today! Carver tends to his hives at the Fauquier Education Farm on Meetze Road. he Nature Conservancy recognizes bees as the greatest pollinating machine in agriculture. Honey bees are efficient pollinators because they practice flower fidelity despite being attracted to such a large variety of flowers. Flower fidelity means bees visit the same species of flower when gathering and transfer pollen to the same species. Without pollination plants would not reproduce and those that bear produce would be insufficiently fertilized. Bees are critically important to agriculture. Below and opposite page: Carver works slowly and carefully to minimize disturbance to the colonies. Beekeepers check hives regularly to inspect their overall health. A smoker, seen below, is used to calm and distract the bees. nutrition of the areas food insecure residents. Now in his second season with hives at the farm, Carver says it is too early to determine if production is better with the bees’ pollination. Carver expects the Education Farm bees will pollinate the crops grown there and improve the overall yield of the farm, even if the results are challenging to quantify. With nine hives to maintain, Carver needs access to a lot of equipment to maintain his colonies. Each hive requires at a minimum hive bodies, frames for each body, supers (where the honey is collected), an inner cover, an outer cover, and a base to rest on. Additional items include front feeders or top feeders, supplements, queen excluders, frame spacers, and so much more. Personal beekeeping equipment includes a bee suit or jacket, a smoker, a variety of tools, a brush, as well as myriad of other items. Extra equipment is kept on hand in the event a hive swarms and a new hive is started. For hobbyist beekeepers who collect honey, extraction equipment is added to the growing list of items needed for beekeeping. Below: The picturesque Fauquier Education Farm is an ideal location for Carver’s hives. The presence of the hives is mutually beneficial for both bees and farm. JUNE 18-21, JULY 16-19 | 10 AM - 12 PM $100 OPEN TO ALL AGES MENTION THIS AD AND RECEIVE 30% OFF! Old Town businesses are holding a “Sidewalk Sale” along Main Street during 1st Friday in June! On Main Street from 6:00 - 9:00 pm. ABOUT THE AUTHOR: John McCaslin is editor for Rappahannock News, a sister company of Piedmont Lifestyle Publications. Recent news has discussed the identification of a new tick found in Hunterdon County, New Jersey. This particular county was the first location to find the longhorned or East Asian tick on livestock. Since then, the tick has been spotted in multiple N.J. counties, and now in Albemarle County here in Virginia. According to the Virginia Department of Agriculture and Consumer Services (VDACS): “On May 14, the National Veterinary Services Laboratory in Ames, Iowa confirmed the finding of the Haemaphysalis longicornis tick (otherwise known as the East Asian or Longhorned tick) in Virginia. The tick appeared on an orphaned calf on a beef farm in Albemarle County.” VDACS noted that Virginia state veterinary officials are collaborating with the U.S. Department of Agriculture and other federal entities “to determine the extent and significance of this Virginia finding.” Livestock owners and those who spend time outdoors need to be on the lookout for these critters. “This pest is so new that there is a lot we don't know yet, but we're learning every day,” said Elaine Lidholm from VDACS. “Livestock producers and owners should notify VDACS if they notice any unusual ticks that have not been seen before or that occur in large numbers on an individual animal.” Virginia Cooperative Extension provides an online resource with information on commonly found ticks. If you find a tick that does not appear to be one of the ones typically found in this area, take in a sample in a container for either VDACS or Virginia Cooperative Extension employees to view. VDACS said, “Livestock producers should work with their herd veterinarians to develop a tick prevention and control program. Livestock owners also may contact VDACS’ Office of Veterinary Services at 804-786-2483.” To locate your local Cooperative Extension office visit www.ext.vt.edu. Restaurant Guide Applebee’s Neighborhood Grill & Bar (540) 341-2044 105 W Lee Highway www.applebees.com Full-service, friendly, affordable restaurant chain. Offers salad bar, lunch combos, and Carside-To-Go service. Comfortable atmosphere for all ages. Open for lunch and dinner. Full bar. Casual dress. Black Bear Bistro & Brick Oven (540) 428-1005 32 Main Street www.blackbearbistro.com Restaurant offering local beers and wines, soups and salads, appetizers, and entrees. A wide variety of American food with a twist. Plus, wood-fired brick oven pizzas, Italian-inspired appetizers, and desserts.Try the muffaletta sandwich! Burger King (540) 347-3199 34 Broadview Avenue www.bk.com Locally owned and operated Burger King. Home of the Whopper. Has campaign to promote a more healthy lifestyle of eating to kids. Kid’s play area available. Casual dress. Café Torino (540) 347-2713 388 Waterloo Street www.cafetorinoandbakery.com Restaurant offering authentic Italian pasta, seafood, appetizers, and desserts. Breakfast served in the morning. Lunch offers sandwiches, pasta, and more. Dinner usually requires reservation and is only available Thursday thru Saturday. Dine-in or takeout. Casual dress. Carousel Frozen Treats (Seasonal) (540) 351-0004 346 Waterloo Street www.carouselfrozentreats.com Soft-serve, milkshakes, fried oreos, smoothies, hot dogs, grilled cheese, and boardwalk fries. Chick-fil-a (540) 347-9791 256 W Lee Highway www.chick-fil-a.com/warrenton All Chicken products are prepared by hand, as are all the salads and fruit cups. Where else can you get chicken for breakfast, lunch, and dinner? Authentic Chinese cuisine. All you can eat buffet Saturday 11am to 3pm, Sunday noon to 3pm. Dine in, carry out, or free delivery available ($15 minimum and within 5 mile radius). Pizza delivery or pick up. Online ordering available. Now offering pasta bread bowls and hot sandwiches. Burgers, hot dogs, and French fries. Uses fresh, never frozen, ground beef. Authentic Mexican restaurant offering a variety of delicacies for lunch, dinner, and dessert. Menu has specials for lunch and dinner combinations including fajitas, enchiladas, and burritos. Children’s menu available. Full bar. Casual dress. Dine-in or take-out. (540) 349-0035 18 Ashby Street www.ciaobellacelebrations.com Grab-and-go artisan salads are made daily with many organic ingredients. Fresh, convenient and delicious for take out or to enjoy in. Also offers baked goods and frozen treats. Claire’s at the Depot (540) 351-1616 65 S Third Street www.clairesrestaurant.com Casual yet elegant restaurant offering locally inspired seasonal American cuisine. The service is as first rate as the food. Open for lunch and dinner and brunch on Sundays. Broad wine list and craft beers available. Country Cookin’ (540) 349-9120 623 Frost Avenue www.countrycookin.com Hearty portions, made-to-order entrees, variety of sides, and desserts. Serves breakfast, lunch, and dinner. Allyou-can-eat salad, vegetable, bread, soup, and dessert bar available for $5.59. Covert Cafe (540) 351-6155 7168 Lineweaver Road www.covertcafe.com Serving up home-style, hot and cold sandwiches, soups, sweets like gobs and muffins, and side items like potato and macaroni salad. Denim & Pearls (540) 349-9339 29 Main Street www.facebook.com/ denimandpearlsrestaurant/ A casual, comfortable but upscale Italian-American dining experience in quaint Old Town Warrenton. Denny’s (540) 347-0401 7323 Comfort Inn Drive www.dennys.com Serving breakfast 24 hours a day. Burgers, sandwiches, and soup also available. Free Wi-Fi. Authentic Chinese, Thai, fusion, and seafood cuisine. Offer lunch buffet everyday. Features China Jade specialties and kid’s menu (includes chicken wings and grilled cheese). Casual dress. El Toro (540) 341-0126 86 Broadview Avenue www.facebook.com/El-Toro-MexicanRestaurant-338321352956701 Authentic Mexican restaurant offering a variety of dishes for lunch and dinner. Menu has lunch specials and traditional entrees like chimichangas, burritos, and quesadillas. Children’s menu available. Full bar. Casual dress. Dine-in or take-out. Faang Thai Restaurant & Bar (540) 341-8800 251 W Lee Highway #177 www.faangrestaurant.com Authentic Thai cuisine. Open for lunch and dinner. Full bar with an emphasis on California wines. Happy hour with $2 drafts and selected appetizers M–F 5-7pm. Sunday 50% off wine by the bottle. Delivery available. Casual dress. Fat Tuesdays (703) 385-5717 251 West Lee Highway www.facebook.com/ FatTuesdaysWarrenton New Orleans-themed bar and restaurant serving seafood, beer, wine and Cajun-style food. Fauquier Springs Country Club Grille Room (540) 347-4205 9236 Tournament Drive www.fauquiersprings.com Fauquier Springs Country Club’s Grille Room is an exclusive restaurant for its members and their guests. The Grille Room is open Tuesday thru Sunday and offers a variety of dishes to suit everyone’s taste. Lunch and dinner weekdays with breakfast available on weekends. Burgers, French fries, hot dogs, grilled chicken sandwiches, milkshakes, wings, and salads. Daily specials. Patio seating available. (540) 347-3047 55 Broadview Avenue www.facebook.com/pages/FrostDiner/145438685479484 24-hour old fashioned diner serving breakfast, lunch, dinner and desserts. Casual dress. Gâteau (540) 347-9188 12 Culpeper Street www.1gateau.com This bakery, cafe and tea room boastsdelicisou options created from scratch using unbleachedand unbromated flour, no shortening, aluminum free leaveners, and organic ingredients. Vegan and gluten-free options are also available. Great Harvest Bread Co. (540) 878-5200 108 Main Street www.warrentonbread.com Loaves of bread handcrafted using whole grain wheat grown on family farms and ground daily in the bakery. Harry’s (540) 428-7156 6809 Airliee Road www.airlie.com The menu includes seasonal offerings and signature dishes, created with food mostly grown on their own farm. Fresh food, excellent customer service, specialty meals for individuals who require a specialized diet, and signautre drinks, wine and craft beer are all offered. Dine inside or lakeside. Hunan Cafe (540) 680-2302 41 W Lee Highway www.Hunancafeherndon.com Offers a modern interpretation of classic dishes and uses high quality fresh ingredients. The Best Mexican Food Specialties You’ve Ever Tasted! 2 Brisket Tacos with a 16oz Beverage for $5.89. Offer Good With This Coupon Through 6/30/18. Limit One Coupon Per Customer or Family. Not Good With Any Other Coupon or Offers. Snow Ice Try samples on Saturdays! Start your Summer Vacation the right way! More than just a Camera Shop. (540) 428-1820 6445 Lee Highway www.ihop.com Specializes in breakfast. Sandwiches, salads, burgers, chicken also available for lunch and dinner. Joe & Vinnie’s (540) 347-0022 385 Shirley Highway www.joeandvinniespizza.net Family-owned pizzeria, open for 21 years. Offers pizza, subs, pastas, and seafood. Daily lunch specials. Pizza available by the slice. (540) 347-7200 380 Broadview Avenue www.mcmahonsirishpub.com Family-owned, traditional Irish pub. Relaxed environment offering traditional Irish favorites. Open for Lunch and Dinner 7 Days a week. Irish Music Seisiun and Dinner Special on Sundays. Free Wi-Fi. Private dining room available. Full bar area with happy hour specials and appetizer menu. Valet Parking Friday and Saturday Evenings. Outdoor Patio. Live entertainment. Casual dress. KFC/Long John Silver (540) 347-3900 200 Broadview Avenue www.kfc.com KFC specializes in Original Recipe and Extra Crispy fried chicken and home-style sides. Long John Silver’s is a quick service seafood restaurant. Located in the same building to provide diners with a wider variety of choices. Family owned, traditional Irish pub. Open for lunch and dinner. Laid back, fun environment. Traditional Irish fare and lots of sandwiches available. Sunday brunch from 11am – 2pm. Full bar. Live entertainment four nights a week. (540) 341-8580 8504 Fletcher Dr www.ledopizza.com Never cutting corners, this pizza, sub, and pasta shop serves many Italian favorites. Known for their large square pizzas, Ledos also carries fresh salads, calzones, shareable appetizers and sandwich combos. Casual attire. Organic Deli offering traditional sandwiches, soups, salads and desserts. Choices also include vegetarian, vegan, gluten-free, soy-free and dairy-free selections. All organic fruit and fresh vegetable juices. Take-out and catering available. Comfort food at its best. Featuring Greek/American specialties. This restaurant is family owned and operated. Banquet room available. LongHorn Steakhouse (540) 341-0392 505 Fletcher Drive www.longhornsteakhouse.com LongHorn Steakhouse prides itself on its exotic Western style entrees and appetizers (like their LongHorn Shrimp & Lobster Dip). The restaurant is proud to serve handcut, hand-seasoned steaks, thick burgers, fresh salads, and an appealing cast of seafood. Casual dress. Osaka Japanese Steakhouse (540) 349-5050 139 W Lee Highway www.osakajs.com Japanese steakhouse serving Hibachi style chicken, steak, shrimp, fish and sushi. Sushi available for take out. Fun, family environment. Authentic Chinese restaurant offering a large buffet selection of sushi, soups, and meats. Australian steakhouse. Also offers a variety of chicken, ribs, seafood, and pasta dishes. Carry out available. (540) 680-2412 177 W Lee Highway www.manhattanpizza.com The place to go for a bit of Italy and Greece. You’ll find pizza, calzones, souvlaki, gyros, pasta, salads, and hot and cold subs here. Pizza, sub, sandwich, and Italian entrée restaurant. Available for pickup and delivery. Offer both hot and toasted and cold subs. Gourmet pizzas and calzones also available. Open late for fourth meal cravings. Now offering frutista freeze drinks and fiesta taco salads. Also offer fresco menu (low fat). Red Truck Bakery (540) 347-2224 22 Waterloo Street www.redtruckbakery.com Bakery located in Old Town Warrenton next to the Old Jail Museum. Serving fresh pies, quiches, breads, cakes, and coffees daily. Online ordering available. Red, Hot & Blue (540) 349-7100 360 Broadview Avenue www.redhotandblue.com Southern Grill and Barbeque restaurant. Offers dine- in, take out, and catering. Large menu with options for ribs, sandwiches, salads, platters, and southern entrées. Casual dress. Renee’s Gourmet To Go (540) 347-2935 15 S Third Street www.reneestogo.com Gourmet sandwiches, soups, salads and sweets. Open for lunch only. Limited patio seating or grab-and-go options available. Soups are the specialty at Renee’s – each day there are two new soups. She-crab soup available every Friday. Catering and business lunches available. Ruby Tuesday (540) 341-4912 74 Blackwell Park Lane www.rubytuesday.com American chain restaurant serving your favorite hamburgers, pastas, steaks, ribs and more. Also have salad bar and RubyTueGo available. Casual dress. (540) 347-5444 95 Broadview Avenue www.pizzahut.com Pizza delivery, dine-in or pick up. Online ordering available. Choose from pizza, tuscani pasta, wings, rolls, p’zone pizzas, and more. Fast food chain known for Big Mac and McNuggets. Dollar menu. Now serving McCafé beverages. Kids’ play area available. Tippy’s Taco House (540) 349-2330 147 W Shirley Avenue www.tippystacohouse.com Mexican restaurant offering different quality specials everyday. Menu offers tacos, burritos, quesadillas, desserts and more. Dine-in or take-out. Open for Breakfast at 7am. Casual dress. Top’s China Restaurant (540) 349-2828 185 W Lee Highway www.topschinarestaurant.com Asian restaurant serving authentic Chinese food. Daily specials and combos available. Dine-in or take-out. Tropical Smoothie Café (540) 428-1818 251 W Lee Hwy #679 www.tropicalsmoothiecafe.com Café offering bistro sandwiches, wraps, gourmet salads, soups, and smoothies. Meals served with either chips or fruit. Also offer pick-two combination. Catering and kid’s menu available. Casual dress. Sibby’s was voted one of the top BBQ places in Northern Virginia. Catering - Banquet Room. Home of Boss Hawg BBQ. Classic Italian Pizza. Also offer antipasti, panini, stromboli, and salads. Check for lunch and combo specials. Features a range of Indian dishes from lamb, chicken, goat and fish. Offers breakfast sandwiches, pastries, and bagels. Lunch/dinner items include soups, salads, and sandwiches. Great bread selection. Gourmet coffee and tea also available. Dine in or carry out. Free Wi-Fi. Catering available. Pizza delivery or pick up. Online ordering available. Wings, breadsticks, and dessert also available. Daily specials and features. Authentic hand-tossed New York style pizza. Dough made fresh daily on premise. Family owned and operated since 1974 - three generations. Voted Best Pizza in 2012. Offering a blend of rich local culture and modern international flavors, their experienced culinary team presents a country fine dining experience that is simply exceptional. Erected from stones curated from nearby Civil War camps, the Manor House is unique in both its character and provisions. The eclectic cuisine you will find is inspired by our chef’s background in agriculture and passion for using fresh ingredients. (540) 349-0950 41 W Lee Highway #53 102 Broadview Avenue www.subway.com Restaurant offering subs and pizza. Home of the $5 footlong. Food is prepared after you order, and everything is prepared fresh daily. Available for dine-in or takeout. Sunny Hills American Grill (540) 351-0550 79 Main Street www.facebook.com/ SunnyHillsAmericanGrill/ Restaurant conveniently located on Main Street. Offer breakfast until 10:30am, and burgers, wings, entrees and more for lunch and dinner. Check out their soup du jour as well. Take out and personal chef services bring convenience, health, and the joy of eating good food to your life. (540) 349-8118 352 Waterloo Street www.facebook.com/pages/WaterlooCafe/135197266527442 Asian food available for dine-in, take-out, or delivery. Wide range of dishes available to order. Dishes served with a side of white rice. Casual dress. Wendy’s (540) 347-5528 281 Broadview Avenue www.wendys.com Fast food chain offering hamburgers, salads, and chicken nuggets. Also offer baked potatoes and chili as sides. Frosty’s available as desert. Casual dress. Wort Hog Brewing Company (540) 300-2739 41 Beckham St www.worthogbreweryllc.com This craft brewing company provides a variety of signature favorites, seasonal rotations, and experiential style beers and offers tasty food options from Black Bear Bistro & Brick Oven. (540) 359-6401 488 Fletcher Drive www.sweetfrogyogurt.com A self serve frozen yogurt shop, serving all natural frozen yogurt with a toppings bar that is full of sweet treats to customize your creation. The Warrenton Lifestyle Restaurant Guide is a directory for Warrenton area restaurants and nightspots. Listings include advertisers as well as non-advertisers. Please contact us to update your listing or if you believe any information provided is inaccurate. At Thrive, we treat parents differently. Like Like At Thrive, we treat parents differently. June treated the Beav. We’re there for them June treated the Beav. We’re there for them with encouragement and anything they need. with encouragement and anything they need. We forge meaningful relationships based We forge meaningful relationships based on admiration and trust. There is purpose on admiration and trust. There is purpose in every breath. Let us help you see how. in every Let usExperience help you see Come. Bringbreath. your parent. whathow. Come. Bring your parent. Experience what it feels like to thrive. it feels like to thrive.